Ada soalan mengenai Protea Hotel Kimberley? Dibina pada 2007, Protea Hotel Kimberley merupakan tambahan menarik di Kimberley dan satu pilihan bijak bagi para pelawat. Dari sini, tetamu boleh menikmati akses mudah kepada semua yang bandar meriah ini boleh tawarkan. 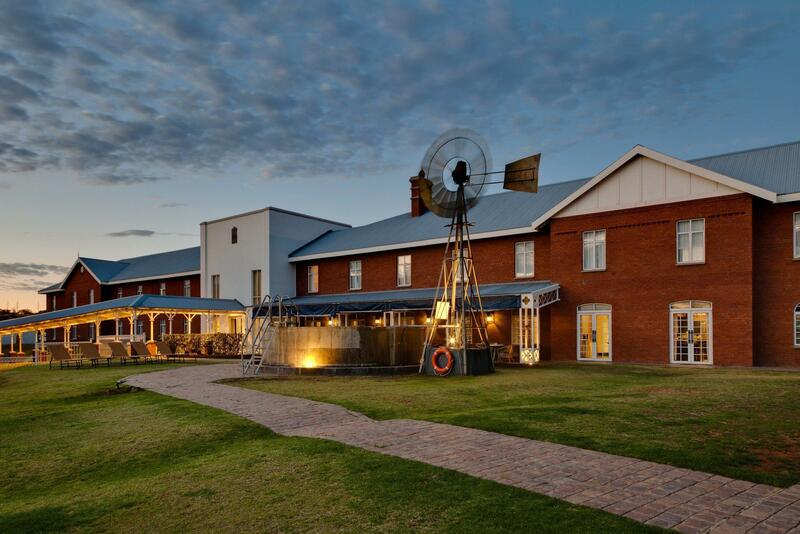 Hotel moden ini berada di sekitar kawasan tarikan bandar yang popular seperti The Big Hole Kimberley, Kimberley Mine Museum, William Humphreys Art Gallery. Di Protea Hotel Kimberley, perkhidmatan yang cemerlang dan kemudahan yang unggul menjadikan penginapan anda tidak dapat dilupakan. Untuk menamakan beberapa kemudahan di hotel ini, terdapat Wi-Fi percuma semua bilik, meja depan 24 jam, fasiliti tetamu kurang upaya, simpanan bagasi, Wi-Fi di tempat awam. Semua penginapan bagi tetamu menawarkan kemudahan yang difikirkan dengan teliti bagi memastikan rasa selesa yang sukar ditandingi. Di samping itu, pihak hotel menawarkan aktiviti rekreasi untuk memastikan anda mempunyai perkara untuk dilakukan sepanjang penginapan anda. Apa juga tujuan lawatan, Protea Hotel Kimberley merupakan pilihan yang terbaik bagi penginapan anda di Kimberley. Friendly efficient staff . Period hotel outfitted in appropriate style. Lovely rooms. Safe car park. Direct access to the Big Hole mining village. the day i checked out. The location of the hotel is perfect being right next to the big hole.The room was very comfortable.The bar staff were very helpful and polite. I must say our two night stay was very nice.although we did'nt eat in the restaurant we had breakfast,which was good.The only downer for us was the children running up and down the corridor late at night,and early in the morning.We were not the only ones upset with this,it was sorted but l felt as our room was right near reception the staff should'nt have to be told.All in all though a very good hotel in a fantastic location. It is nice stay there. The hotel is of good service. I like my staying there. It is very nicely located close to the hole and the service is good. Good dinner hall. 1. Warm, friendly and helpful team. 2. Such a beautiful room. 3. Lovely food. I enjoyed it from beginning to end. Despite arriving in the middle of a power cut, the team was warm, friendly and very attentive! Restaurant service was EXTREMELY poor and breakfast is very expensive. Ventured in the 2nd night on promises of better attention - No steak available! 4 stars is a joke. Management keep insisting that things are changing but this has been stated for months and the bad reviews keep coming in. The de luxe room had a footpath outside the window so curtains had to be kept closed. Beds and pillows were great and it's next to the 'Big Hole' and quiet. There was also a separate bath and shower. The main occupants were travelling through and staying a single night (coastal migration season). There are very limited numbers of shaded parking otherwise your car bakes in the strong sun in the summer. Wi-fi is not great but it's South Africa so expectation was low. I'm an often guest in this hotel as i travel for business to Kimberley and I've never been disappointed so far. Nice rooms, beautiful design, very good food and friendly staff. This time I had the room not prepared properly for check-in, the soap wasn't changed after the previous customer and the staff even discovered a shirt in the closet. There was also a confusion with the number of stay days and I was booked for 1 night only instead of the requested 4, but I guess it was a mistake . Those minor things happen, important is that the bed sheets are always fresh and beds are comfortable. One more thing I would suggest is to put fridges in all rooms, it is the best hotel in Kimberley and it makes sense for the 4 star hotel to have all the rooms equipped with essential stuff. Oh, their Greek salad is fantastic, I think the feta cheese was home-made, and despite the fact that the food was served in-room 2 hours after I placed the order I was OK as it happened for the 1st time. Overall is a good place to stay and it is actually the best out of what you can get in Kimberley. 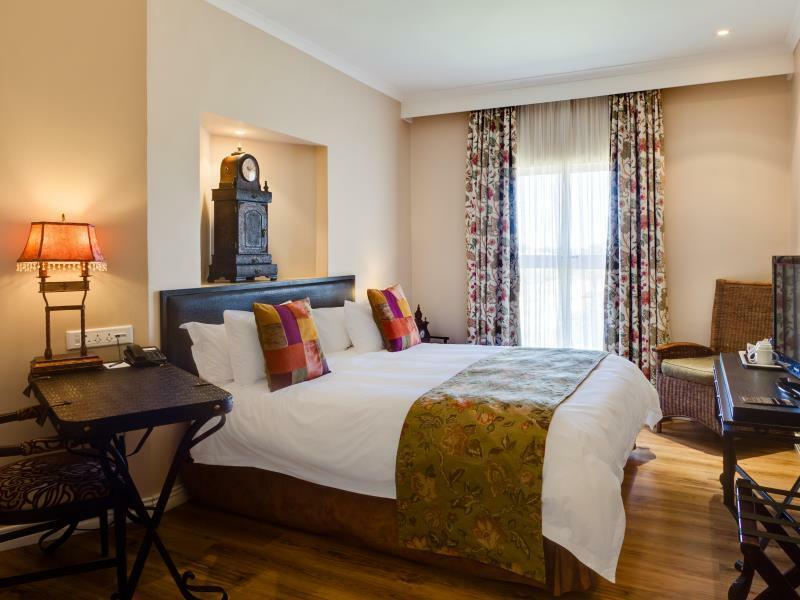 Good quality hotel in Walking distance of the Big Hole. Nice rooms. Family room available with 4 beds. Us as a family enjoyed the stay and had good nights rest. Nicely located next to the Big hole. 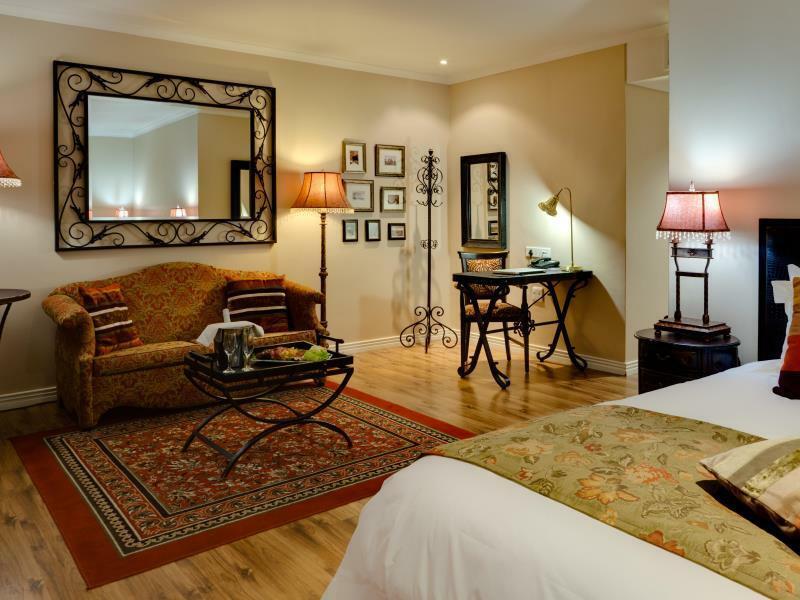 - The rooms are lovely and clean with nice furnitures. - Facilities are great. Food in the restaurant is lovely and delicious, the rooms are clean and well kept, furnitures are classic and in well condition. - Hotel services were great and staffs were nice and helpful. although i booked and paid on agoda, it was insisted that i swipe my card on leaving as there was no record of my payment. its a further pity that the refund has to entail numerous calls, and a somewhat slow reflection in my account.